July 28, 2004 -- White uniforms are making a comeback in some Atlanta hospitals, reports Patricia Guthrie in a generally fair article in today's Atlanta Journal-Constitution. According to the article, Rhonda Scott, PhD, RN, CS, spearheaded the change at both the Grady Health System and the South Fulton Medical Center in Atlanta. The piece explains that among the reasons for the change were patients' need to be able to identify nurses, and nurses own need to dress in a way that reflects their professional status. Dr. Scott notes that "[w]hen the patient asks the housekeeper, 'What's my blood pressure?' you have a problem." And one patient is quoted as saying that before the change "you didn't know who the registered nurses were." 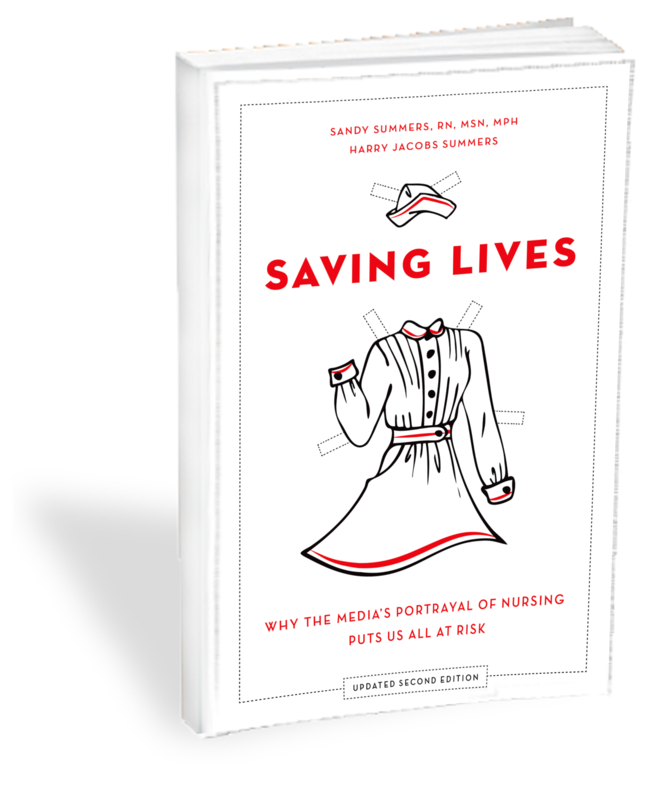 The piece also noted that many nurses saw the return to the traditional color of nursing as a pride issue, a change that symbolized their professional education and competence. Ms Guthrie's article explores some of the advantages of the scrubs the nurses used to wear including the "easy-to-maintain fabric", and that they were "less intimidating to patients." But many had noted that they "resembled pajamas," and made nurses indistinguishable from every other hospital employee. The article suggests that LPN's will also be wearing the new uniforms, and it might have discussed whether any of those involved felt the need to distinguish registered nurses, as the recently introduced "RN" patches do. The piece also includes a quote from an ANA representative to the effect that the nursing uniform was not a high priority issue compare to short-staffing and working conditions generally. The piece might have benefited from a balancing quote explaining the view of many nurses that the image nurses project to the public, other professionals and each other is in fact a critical factor in the overall economic and social dynamics that have led to the crisis in nursing. The piece also failed to indicate that Dr. Scott had a doctorate, referring to her only as "Rhonda Scott," which it probably would not have done had she been a physician. When the media ignores the educational achievements of nurses, it leads the public to believe that nurses have little meaningful education. This in turn drives the best and the brightest away from nursing and into other professions. See Patricia Guthrie's article "Retro chic: Nurses revert to white garb" in the July 28, 2004 edition of the Atlanta Journal Constitution. Please post your comments on our discussion board thread about nursing uniforms. September 21, 2004 -- Also listen to a very good story on white uniforms at O'Grady on NPR by Charles Edwards of Georgia Public Radio.